In part one I provided the list of who was who in the EFLNA/ENASA/EPLF that would eventually lead to who is who in PFDJ of today. But, a friend gently reminded me that a great deal had occurred since 2005, when Ms.
Hpener’s article was published in Eritrean Studies Review and kindly offered the following factual observations – a point or two is in order before I enumerate them. The evolution of the following influential individuals as they navigate through the torrential landscape of Eritrea’s socio-political landscape has this interesting cycle to it. Indeed, true to form, some fall out of favor and falter; others walk the thin line and survive the ever revolving door of the musical chair as they thrive for the top. Yet others find themselves struggling with the trepidations of life as they search for the best medical treatments their influence can buy. But the very musical chair continues to sing, unpredictably, out of tune tunes. For all its worth, here is the updated list in 2007. 1. Haile Menkerios: Defected from the PFDJ and currently hold a prominent position with the UN, as Assistant Secretary-General for Political Affairs, not representing Eritrea, of course. 2. Naizghi Kiflu: currently living in London critically ill and on continuous medical care - dialysis, etc. 3. Andeberhan Weldegiorgis- left Eritrea last year and never returned. His status is unconfirmed emanating from two contradicting news: One saying he is severely ill and was seen in Belgium when he was there for treatment; and another saying he was there looking for a job. Prior to sending this note a friend had penned me to say that Andeberhan Woldegiorgis is working as Director of Africa Advocacy for the International Crisis Group based in Nairobi, Kenya, courtesy of Google. 4. "Dinesh" and "Lilo": No news on them but they don't seem to be on the PFDJ's VIP list. The story of EFLNA/ENASA is taking a rather interesting turn. Through the feedbacks I have received I decided to investigate further prior to elucidating on Mengisteab Yisaq’s life within EFLNA/ENASA. Outside it, nobody seems to know about the man but plenty more about the era. This much is known about the era. 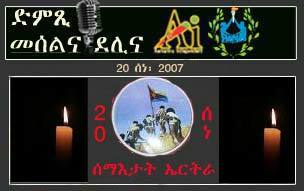 Several credible sources that I have spoken to at length bring forth a clearer picture on how messy and turbulent the gedli years were within and without Eritrea's proper. The slash and burn, the political savagery, the character assassinations of individuals who stray out of the political norm, that norm as dictated by the EPLF in the past and PFDJ of today, continues unabated. Mengisteab Yisaq and I now just learned of Petros Yohannes were just that: the political black sheep of that era as much as G-15 members and thousands of others are of today’s Eritrea. One event worth raising for others to expound upon is the warning flag that was detected but went under the radar screen so quickly by EFLNA members is the liquidation of Menka'. According to Ms. Hepner, Tsegai "dinesh" had met with Issayas Afewerki and Masfin Hagos on fact finding mission but his fear and in turn the EFLNA's fears would be tamed as a result of what these two leader had told Tsegai. The only phrase used by Ms. Hepner was that with "heavy heart" Issayas would tell Tsegai his wish to keep the incident under the radar screen, but the ramifications of which will come to haunt Mengisteab personally later when he dissented from EPLF's line of thinking. 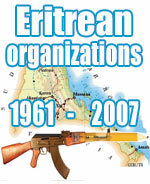 During the late ‘70s when Mengisteab was falling out of favor, the EPLF morale was low, for EPLF and ELF were forced to withdraw because the Soviet Union, East Germany, Cuba, the Socialist Yemen of the time, all were parachuting down into the liberated zones of Eritrea as they helped the Derg consolidate its power by regaining most of the Eritrean land to reoccupation. Mengisteab Yisaq as the chair of EFLNA/ENASA all he wanted was for EPLF to unequivocally denounce the Soveit Union for its transgression. Another reason Mengisteab was critical of EPLF was the same reason for which EPLF was critical of ELF for unanimously deciding to negotiate with the Derg of Ethiopia for peace previously. Mengisteab Yisaq courageously called on EPLF to task using the same line of reasoning it used to criticize ELF because EPLF was negotiating peace terms without preconditions with Ethiopia. For that a litany of unflattering terms were hurled at the man, ranging from "traitorous" to even likening Mengisteab to Jim Jones, a cult figure who had led his follower into a cyanide binge. archenemy, the source added. This trusted source alleges that the controversial booklet was written–mainly-by the two fallen men. In the final analysis the EPLF members were the ones that were immersed in the cultish behavior by, insidiously or not, following the EPLF line blindly. Late ‘70s seemed to be replete with ideologically aligned mind set. On the one hand, there was EPLF and ELF in the fields of Eritrea advancing the idea of Marxism, Leninism, Socialism, any "isms" that had no basis in reality but a tinge of pragmatism, only because these two freedom fighting forces were facing the reality on the ground by fighting the enemy inside Eritrea. On the other hand, there was EFLNA/ENASA with its homogeneous make up preventing it from seeing its idealized, purely theoretically based knowledge of Eritrea, making it difficult for this group to think outside the groupthink. Out of some 600 members who attended the conference in Washington D.C., during the summer of ’79, after which the ENASA name was changed and became part of the mass organization, there were less than a handful of Eritreans from different ethnic and/or religious background. There is something to be said about the homogeneity of the ENASA movement. The overwhelming number of ENASA’s make up was that of the highlanders who were akin to their brethren of EPLF in the fields. Barely 9th grader in Cairo in 1979, at the time of this massive condemnation of EFLNA by EPLF, I was friends with many EPLF members and am now being reminded of the following facts. I did not comprehend what the hoopla that my roommates and friends were talking about, passionately at that. 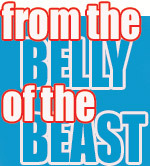 The EPLF members in Cairo were prepared to receive the translated version of the controversial booklet only to be prevented by the arrival, in the nick of time, of Naizghi Kiflu, Alamin M. Said and Haile Menkerios, who discouraged any discussions of the translated material let alone disseminating it to its members. The other source that I spoke to at length advised me to follow the money-line. Following the money-line, based on Ms. Hepner’s writing, it places the money man, Hagos Kisha, The Tresurer, who was in the field for a visit and came back to unequivocally align himself with EPLF line of thinking in condemning the Mengisteab Yisaq;s group. By default, one has to assume that Kisha had delivered bKisha all the money that was collected, which EPLF vehemently wished to receive. One can attempt to skirt the era with whatever means at one’s disposal. This era in question, however, needs to be explored in a much deeper and scholarly level that it deserves, much like the rest dissenters in the movements within both ELF and EPLF that had claimed so many lives, their only "crime" being challenging the status quo. We have not come a long ways yet. The attack mongering and this sphere of intimidation is etched in the highland Eritreans’ mind set, which needs to be disposed of, much like the Hamas style of politicking and not far from that of Taliban needs some serious thought, thoughts that can lead to eradicating such line of thinking; its destructive nature is well apparent in the way any Eritrean who opposes certain line of thinking is hastily labeled as "Agame" as if none of the highlanders roots were from there. Talk about self-hatred: No other ethnic group that I know dismisses one’s own roots within Eritrea in a manner in which we the highlanders do, all for the sakes of a very short sighted political axe to grind. The multiculturalism that EPLF used to advocate during its struggling years is nothing but a pipe dream, a dream turning into a nightmare ever so quickly. 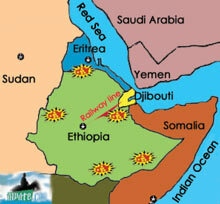 EPLF might have had its idealism but none of it is being applied into post independent Eritrea. Paying homage to the transnational fighters, those that are alive and those that passed on, no less, deserve our utmost respect. Eritreans did not just fight from within the field, but across the oceans and over the terrains of African plateaus; and the deserts of sub-Saharan Africa, in it being consumed and subsumed to bring forth a nation that they could call their own, which is now being claimed by a handful leaders who think they know what’s best for this new nation and extending the gedli years of butchering and liquidating whoever else that gets in the way will not do the country an iota of good. For more read on ENASA’s position paper of condemnation of EPLF’s capitulation please click on the link below.
? Copyright 2000-2006 Awate.com. All rights reserved. This material may not be published, broadcast, rewritten or redistributed without written consent from the Webmaster@awate.com.